Discovery Jeet will air the show of popular actor Ram Kapoor. The show name is Comedy High School. This show will start today at 9 pm on Discovery Jeet. Salman Khan is featured in the first show as the launch episode will witness Salman Khan. This show will bring episodes that are theme based. This show will bring out the things that goes around the society. The show will bring out the episodes on society, culture, education and current affairs through a classroom-based setup. The show cast includes Ram Kapoor, Gopal Dutt, Paritosh Tripathi, Krishna Bhatt, Jasmeet Bhatia and Deepak Dutta. The first episode will go air today at 9 pm. In the very first episode, Salman Khan will be witnessed. Ram Kapoor was looking to feature Rani Mukherjee on the set as the full team of Comedy High School will love to do episode with her. It was said that Rani agreed to come to the show and at the last moment she refused to come due to ill-health issues. This show will be released on a new channel. This channel has only eight new show. The channel plans to have atleast 5 hours of fresh programming. 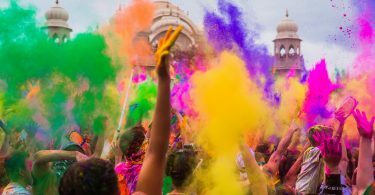 This show will come along the Swami Baba Ramdev: The Untold Story, Saragarhi – India’s Bravest Day, Gabru: The Birth of Hip Hop, Gangs of Mumbai, Anjaan, Khan No 1, Mere Papa Hero Hiralal and ‘Shaadi Jasoos. These are the fresh show that has started on the Discovery Jeet channel. Ram Kapoor had already worked in the most popular show and now he will be witnessing hosting this show. Ram Kapoor is a very popular actor and today i.e. 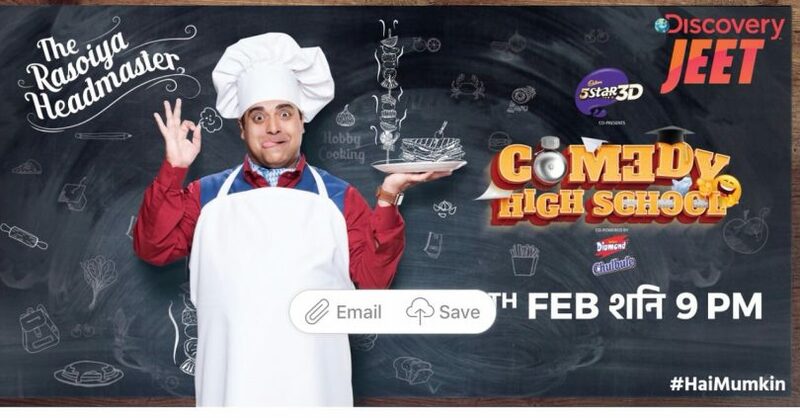 on February 17, 2018 his show Comedy High School will be launched on the Discovery Jeet. This show will bring all the theme and moral based episodes. It begin at 9 in the night.